I cannot believe that April is over already! Where is this year flying off to?! 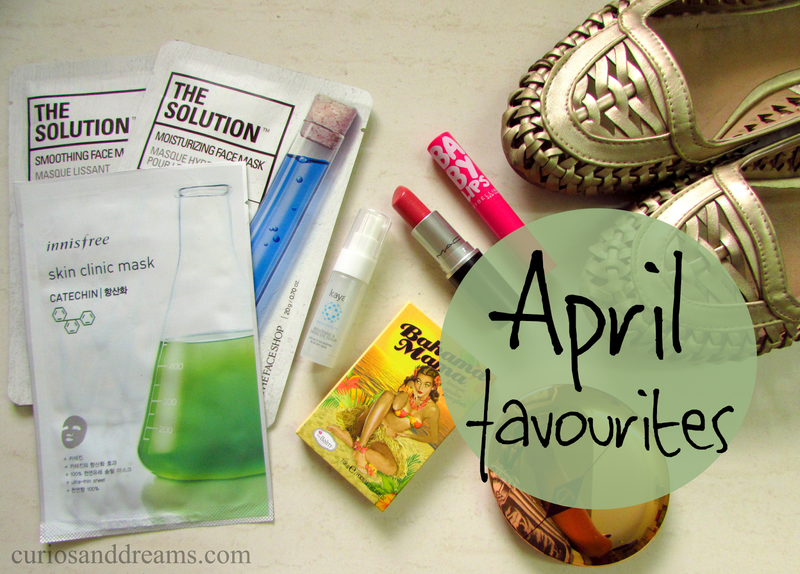 Anyway, with another month, comes a new favourites post...so here's what I really digged in April! If you have been following our blog closely, you would probably know by now that when it comes to hair removal, we have pretty much stopped waxing a long time back. Who has the time to schedule a salon appointment these days or the patience to wait till the hair grows back completely?! No way. So when it comes to hair removal there are 2 methods I prefer these days....epilation and shaving. While epilation is a good method, it does take time too. Which brings me to shaving! Such a life saviour! 10 minutes in the shower and you are all done! Gillete Venus is probably the only name that comes to most of our minds when we hear shaving, doesn't it? And rightly so. They have revolutionized the entire shaving process when it comes to women. Gone are the days when you had to make do with the standard 10 rupee mens razor. Venus introduced us to felxible heads, ergonomic handles and the power of 3 blades instead of one! Shaving has never been the same and there is certainly no looking back! 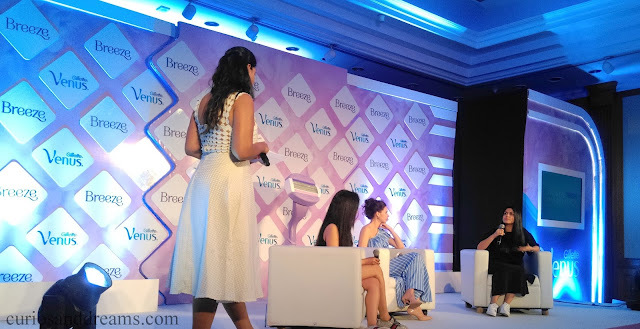 While we have reviwed the Venus razor long back on the blog, the latest variant Gillette has to offer is Breeze which takes shaving to another level entirely. So, while I picked up the Freedom Bronzed Professional (full review here) initially as a beginner, the makeup lover in me had an eye on theBalm Bahama Mama Bronzer since the very beginning! And ever since I have tried the Mary Lou Manizer (reviewed here) from the brand, I had been dying to try out more products from theBalm. I have a thing for bi-phased products. It feels almost like alchemy, like there's a pinch of marvellous science in my stash! This spray by OGX (earlier called Organix) is however, a brilliant potion that looked too pretty to give a pass, and turned out good enough to warrant a blog post with just 3 weeks of use! Who loves Aromatherapiiieeeeeeee?! WE DO! Returning to our hero of the day, SoulFlower Bath Salts is one product that everybody needs in their lives, and that's why every member in my family has their own personal jar. Do NOT judge the blatant over-indulgence! Many of you have been asking about my skincare routine and since summer is already driving us mad, I thought of doing a post of my Skincare Essentials for Summer. Of course, some of these products are a regular part of my skincare routine throughout the year. But these are my top picks for summer. Read on! Hello, hello! Summer's here! And with the heat comes skin damage, photo-ageing and all the things we whole-heartedly want to avoid. I am a sunscreen chameleon. I keep a few different formulations and switch between them according to the needs of my skin and the demands of the weather. One of them is this gel by Aroma Magic, a brand I absolutely worship. 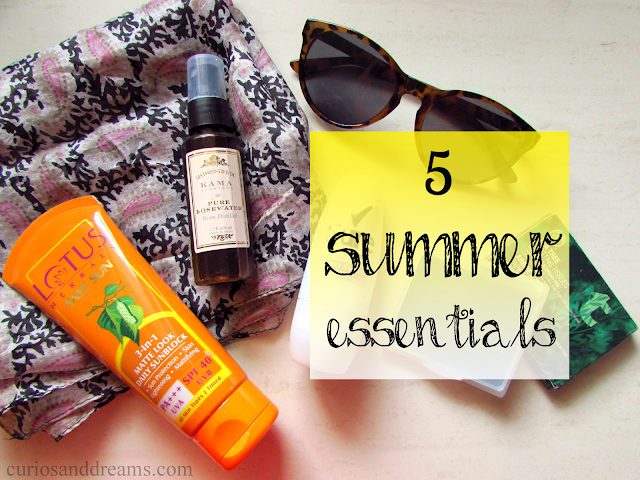 If you're looking for a sunscreen to combat high humidity, this is it! 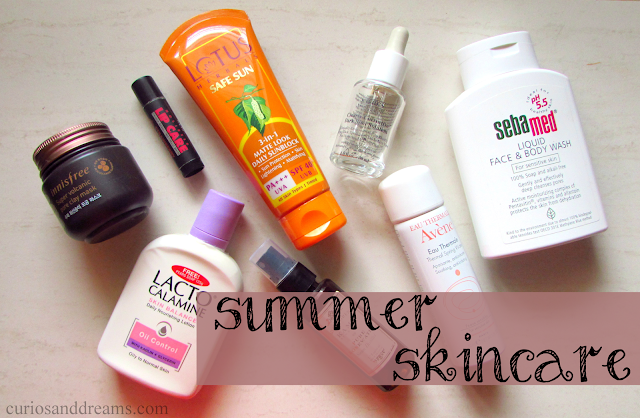 Last summer, I had mentioned how I like to change my skin care routine according to the season. Spring draws the line between the more emollient products I own, and those which focus solely on hydration. Simply put, creams and butters are for winter as they form a barrier against the cold and prevent loss of moisture from your skin. As the temperature rises, our skin needs to perspire in order to keep cool. Using creams hinders this mechanism and hence breaks you out. Hydrating products quench your skin's thirst because of all the sweating, and do not block your pores which may lead to break outs (unless you're allergic to an ingredient, of course). So that's that and now you're all familiar with the fundamentals! So let's check out this hydrating essence that promises to boost your skin! Clear the way for the King of Fruits!! You have to admit that we Indians are obsessed with mangoes. It is probably one of the very few things we look forward to as summer approaches, and with the heat already scorching us, what time would be more suitable to share The Body Shop Mango Range with you?